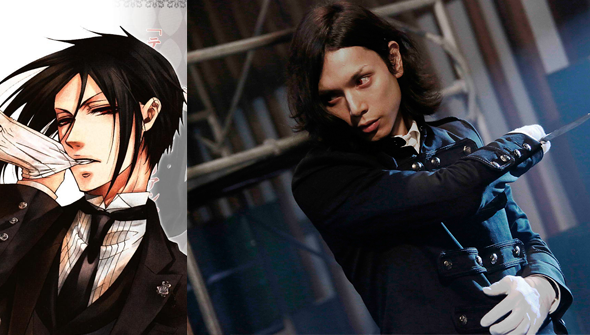 Home / anime / CP / movies / news / Live Action Black Butler Comes To UK Cinemas October 17th. Live Action Black Butler Comes To UK Cinemas October 17th. We don't cover a lot of live-action cinema at AFA- for obvious reasons. But when movies have a strong connection to the world of animation, we figure our audience will be interested. Black Butler is just such a film- based on the hugely popular original manga by Yana Toboso, which has already been adapted into three seasons of anime. The original story is set in Victorian England and features a young heir to a powerful family and his powerful demonic protector/ manservant- the Butler of the title. The 2014 live action adaptation makes some major changes to the source material, relocating to a near-future Asian city and turning the lead into a young girl, forced to impersonate a man. The plot revolves around a series of murders and Kiyoharu's quest to avenge her parent's deaths. The film will be released in select UK Cinemas via Warner Bros UK on Friday October 17th 2014, certificate 15. Full synopsis follows.